March 2nd was a historical day at Challenge 2000. 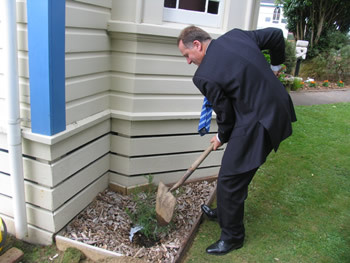 We hosted the Prime Minister, the Honourable John Key, for meetings and a scrumptious lunch! Hekia Prata, National MP for Porirua requested that the Prime Minister visit Challenge 2000 to hear and see what sorts of youth services and programmes we offered the young people of Porirua. 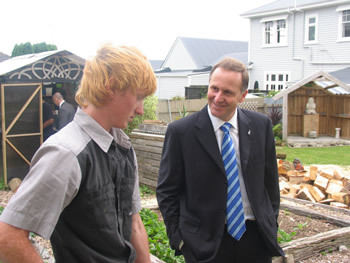 Mr Key met Community Max Staff, youth workers, Alternative Education Students and staff, our social workers based at Mana, Bishop Viard and Porirua Colleges, our Youth Justice specialists and many of our youth volunteers and young people. 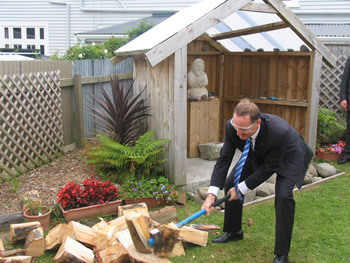 Mr Key was easy to relate to, remembered everyone’s names and seemed genuinely interested in Challenge 2000’s work and dreams for the future of Aotearoa – New Zealand.